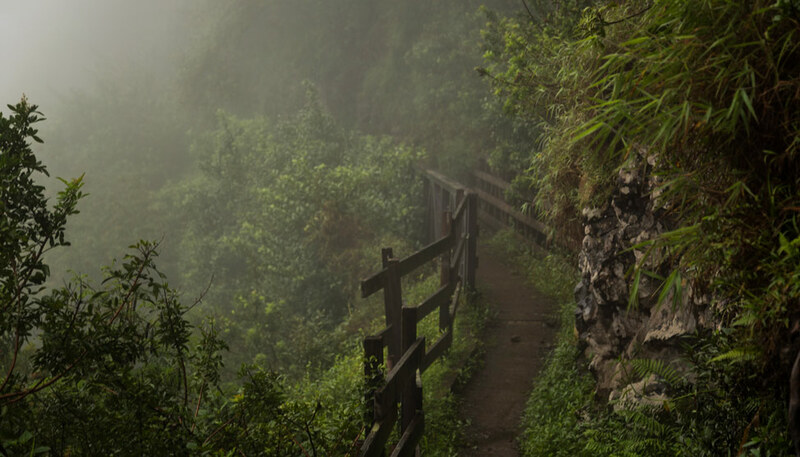 One of our greatest lessons from travel is the appreciation we’ve developed for our home country. That of which we were familiar with, that is. Canada is a large country and we still have so much to explore. 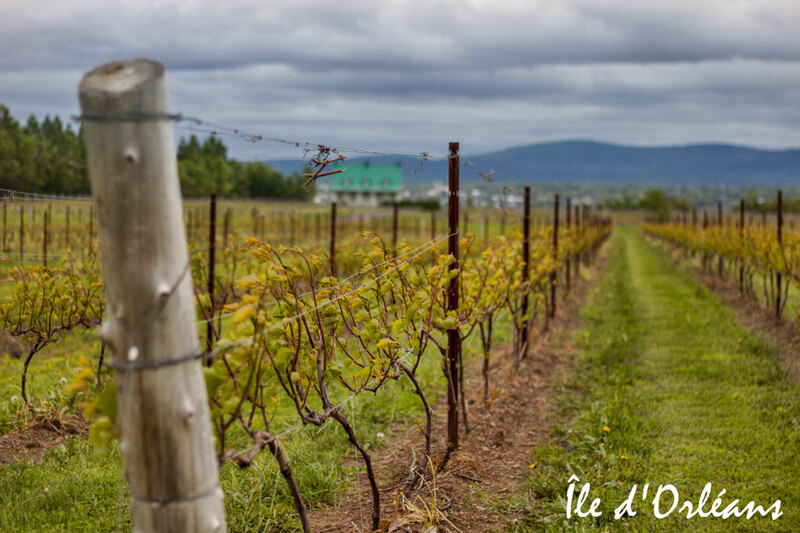 But none allured us more than the province of Québec and the diversity it offers: the dynamism of Montreal, the momentous history prevalent throughout, the dangerously delectable food, and the treasured traditions we learned along the way. Every day delivered. Our two weeks in Québec were educational, emotional, and wholly gratifying. It is a province that we undeniably want to know much more of as it helped deepen our admiration for our home land. 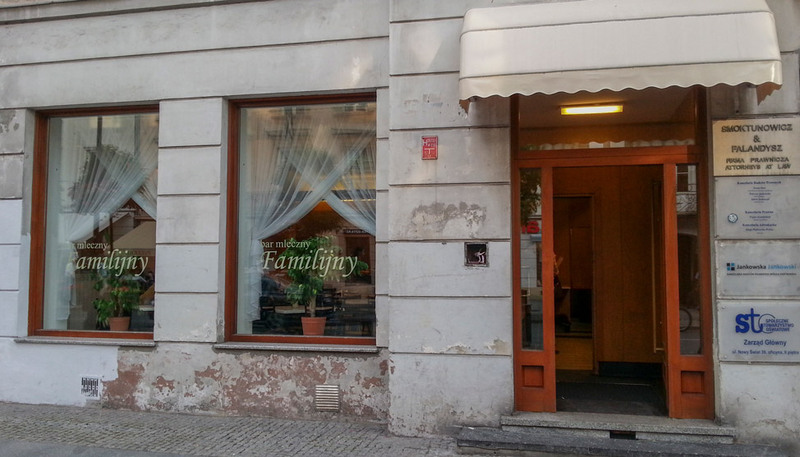 But it will have to wait – and instead we bring you our customary “wrap-up” post (for now! ), where we share with you those favourite photos we saved for last. We couldn’t decide which skyline shot we preferred, so you get both. The stately Basilica of Queen Mary. The Palais de Congrés is our favourite building in all of Montréal. The multi-coloured windows were inspiring to photograph. Habitat 67, built for Expo 67, is comprised of 354 identical concrete homes created for affordable housing. That idea has since backfired, as the unique building is in high demand and the units are some of the priciest in Montréal. 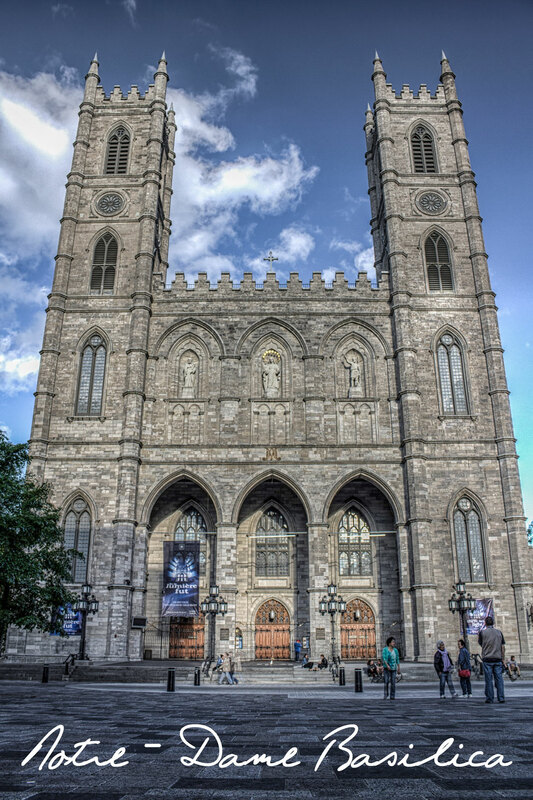 Perhaps the most impressive building in Montréal, the Notre-Dame Basilica. Followed by the most notable building in Old Québec City, the Chateau Frontenac. One of the few gates into Old Québec, the only remaining walled city north of Mexico. 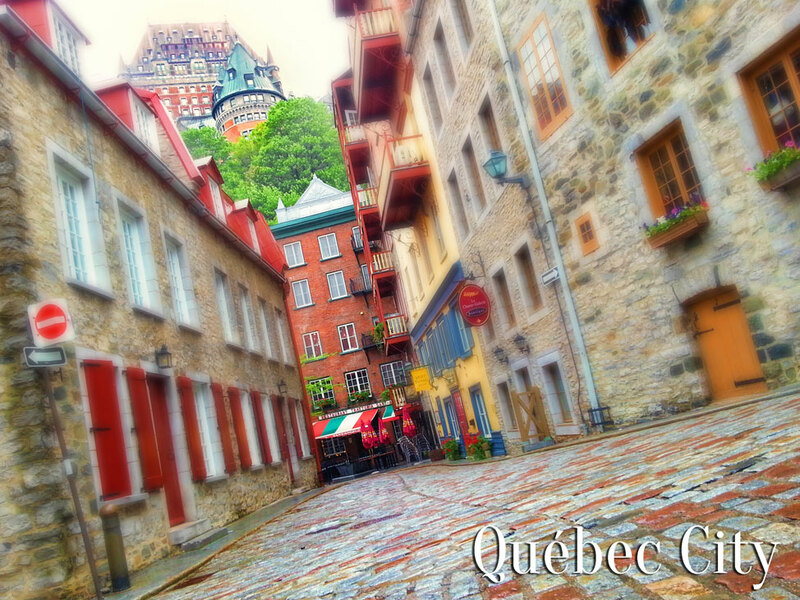 Visiting lower Old Town Québec is like stepping into Europe. A view of Québec City from across the St Lawrence, on the tiny and beautiful Île d’Orléans. The island itself, one of the first spots to be settled by the French, has families still living there whose roots extend back over 400 years. Today it is dotted with vineyards and farmland, with beautiful views from all sides. 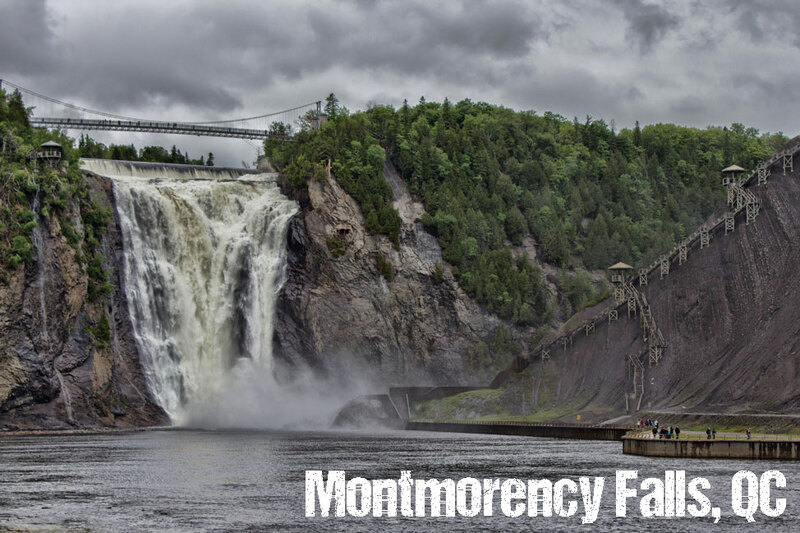 The Montmorency Falls are just outside of Québec City and not only do they impressively stand higher than Niagara Falls, but they were the site of important battles between the French and British. 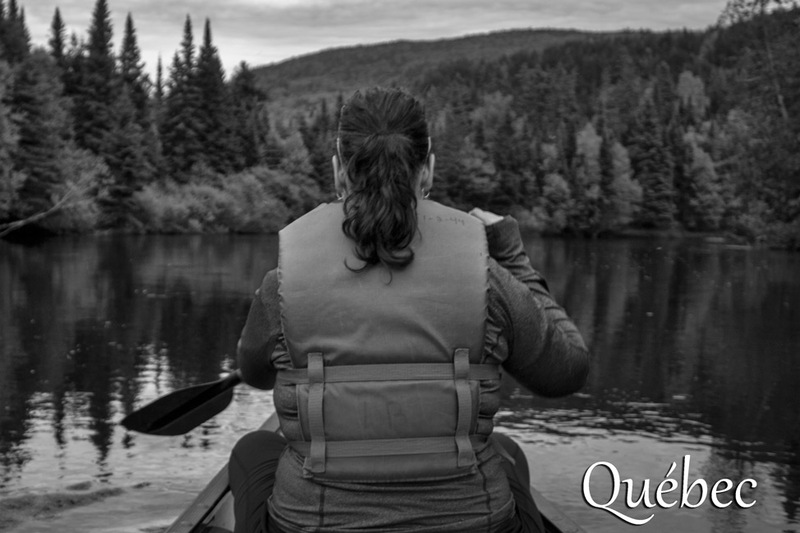 Outside the cities, Québec is a vast outdoor playground. It is here where we felt most at home (despite a slight mountain bike accident). 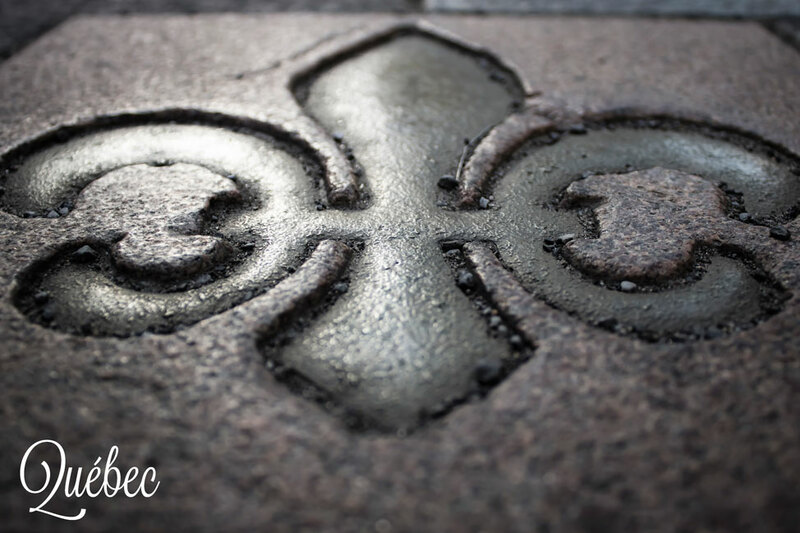 The fleur-de-lis is an important symbol of Quebec cultural identity and adorns their provincial flag. Our amazing two weeks in Québec was made possible with thanks to Tourism Montréal, Tourism Québec, and Québec Region Tourism. All opinions are our own, as is our new-found utter infatuation with the entire province. 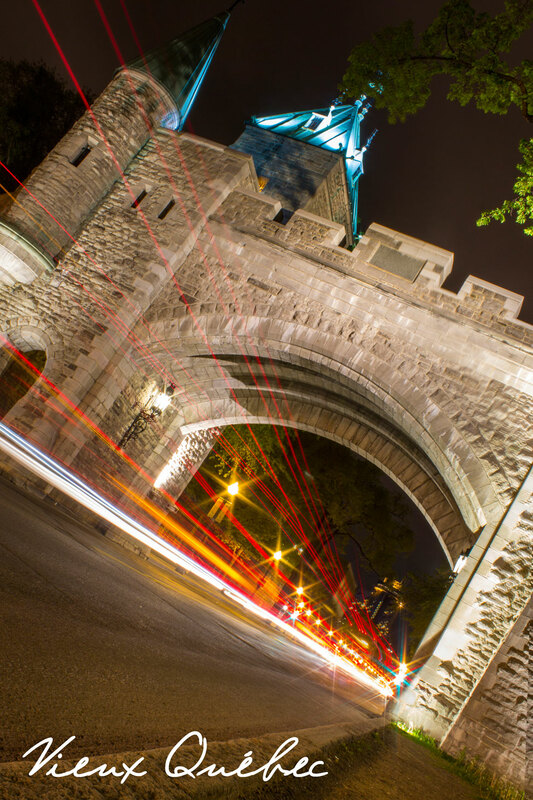 Like the Quebec City photo – good to see some color! Stunning photos again, now I am disappointed that I skipped Quebec on my tbex trip. The Habitat 67 looks really funky! Too bad Jarmo, it really is an incredible province and deserves some time to explore. 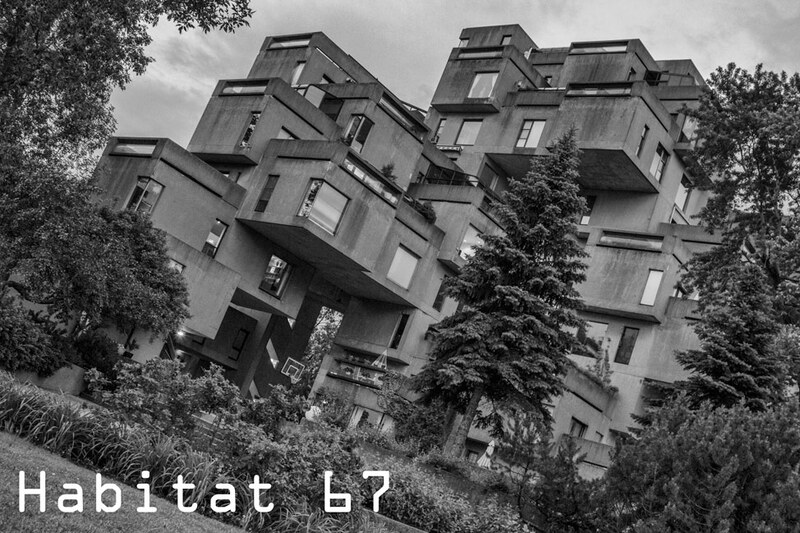 Yeah for sure Habitat 67 was really funky. I can’t imagine living in one of the units though, it seems like stacked sea containers and it would be pretty cramped. But I’m sure that there are some pimped out flats in there for the prices they were going for. 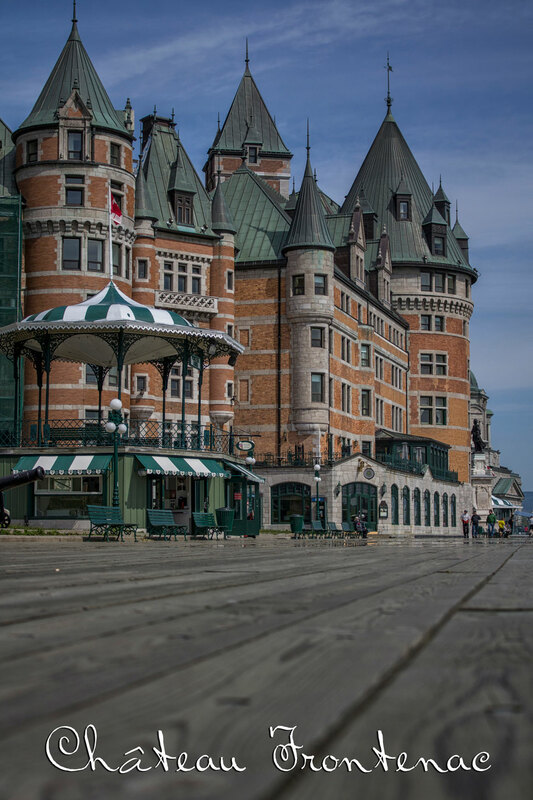 Beautiful pictures, especially the one of old town Quebec. Thanks Katherine, Dalene snapped that one from our S3. Beautiful! I’ve wanted to visit Montreal and Quebec City for years. I love those multi-colored windows! Love the shots, as usual. I love the one of the multi-colored glass, and the titled one from lower Old Town Québec. Beautiful! Thanks Amanda, it was a fun day photographing that building. 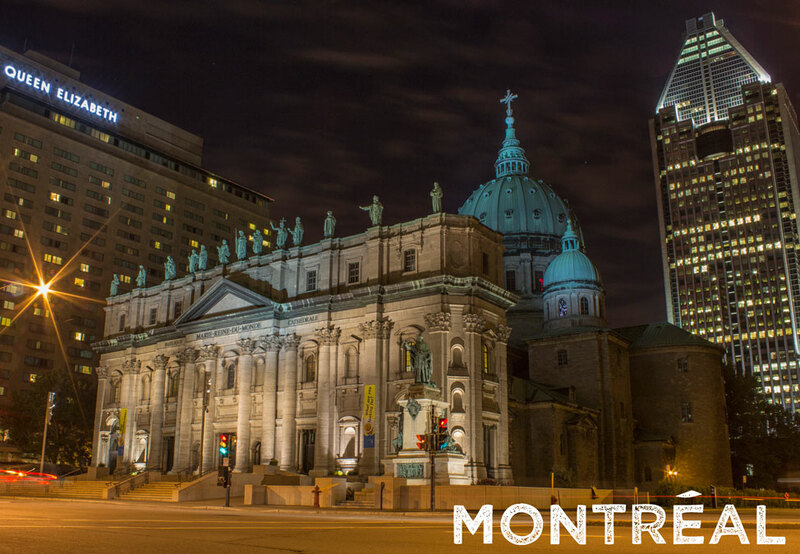 I’ve been dying to go to Montreal for years! These photos have convinced me even more. I’m eager to explore the rest of Canada as well. 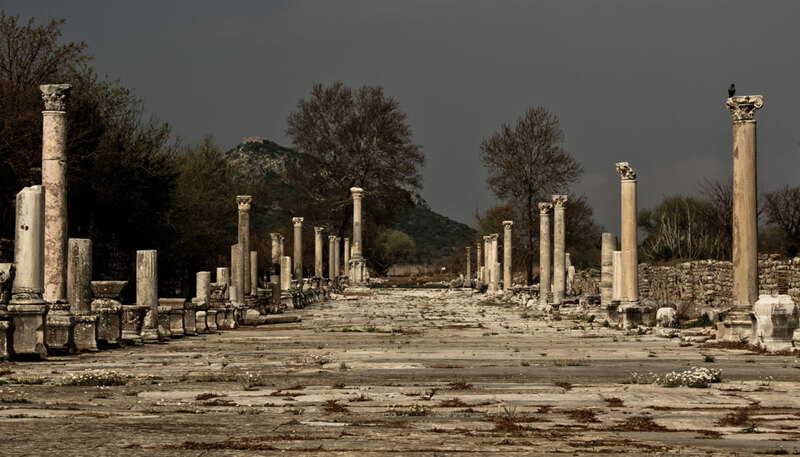 Looking forward to more blog posts about these places! nice wrap up. your pictures are great, the Ile d’Orleans one especially grabs me. Thanks Jade, I love that one as well. Glad you liked my home province 🙂 It really is beautiful and such a vast, welcoming land! I always love your photos but these are particularly spectacular — especially the skyline and the colorful windows. Wow! Love these. I can’t wait to go back and see more of Quebec. Us too Alouise!!! We look forward to our return at some point, hopefully in the fall when the leaves are changing colour. 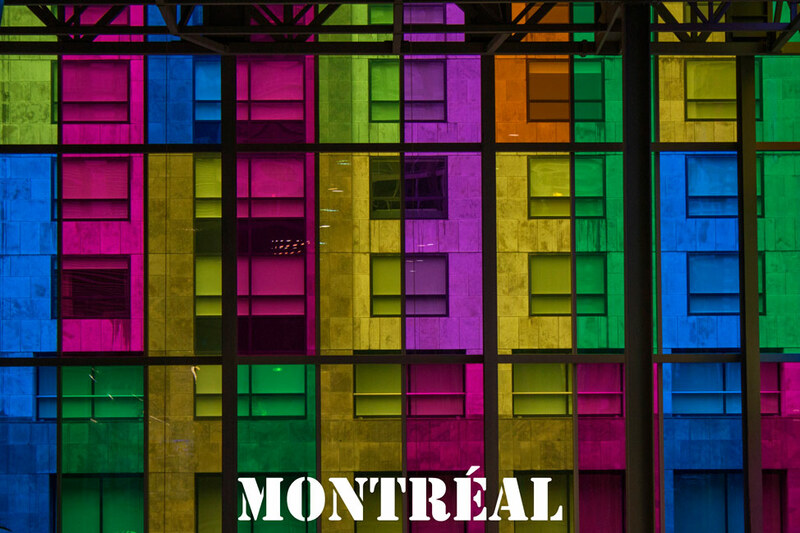 Quebec looks like an amazing city to visit, love that colored glass building, must have been fun to explore it and take some amazing shots. thanks for sharing the highlights. Thanks Noel, yes it was a great place to photograph, despite the attempt by security to kick me out for not having a permit. After arguing for a couple of minutes as to where and how I get the permit, they gave up and just let me be. 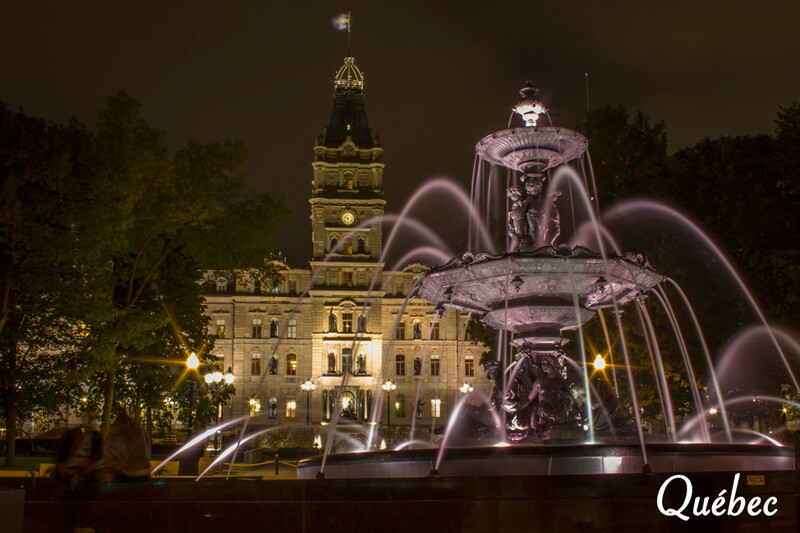 Wow – I have never seen Quebec look so stunning! Thanks Diana, I’m glad I did it justice. It’s a beautiful province. Beautiful shots as always, guys! Great collection of photos from Montreal and Quebec! 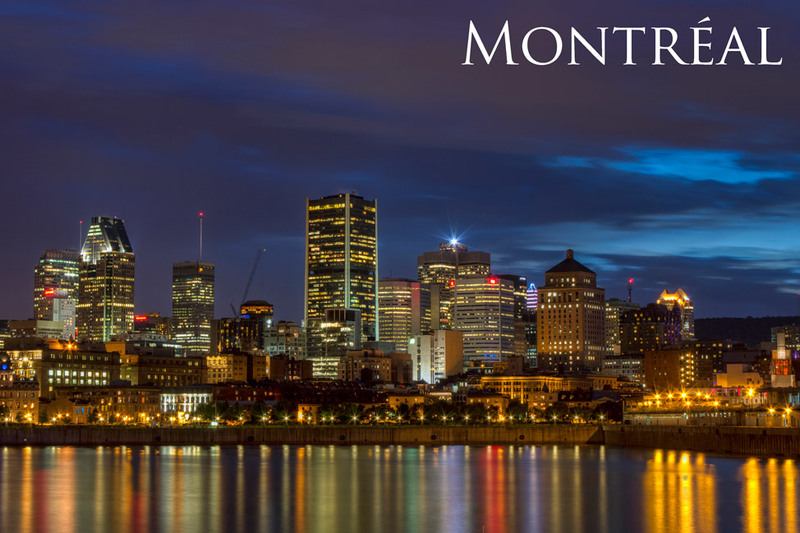 So excited to be heading to Montreal this weekend…can’t believe that I may be missing Quebec City this summer – one of my favourite Canadian cities!!! Canada really has some gems can’t wait to visit to summer, we book our holidays recently with Tour America. We need advice on traveling around Canada and I thought the staff were very helpful. Looks like two weeks might not be enough. Beautiful photos! Hard to pick a favorite, but I love the waterfall! Thanks for sharing! I am Canadian by birth (but am a nomad by nature), and the last city I lived in during my longer stays home in Canada was Montreal. It is by far one of my favourite cities in my country – one of my top favourite cities in the world! I still call it “home”. I am glad you loved it too!